Through these needles, a mix of vaccines and antibiotics is injected into the egg — and so into the unborn chick inside, which three days later will hatch out. If the scene sounds like something from a science-fiction film, then that is hardly a surprise. Today, large-scale poultry production has precious little to do with green fields and ruddy-cheeked farmers. Every year, more than 40 billion chickens are slaughtered worldwide for meat, the vast majority of them intensively factory-farmed. The bottom line is profit. All that matters is the volume in which these animals, bred to hit their genetically-modified slaughter weights within 35 days of hatching, can be churned out. Given the intensity of the production systems (raised in sheds of 50,000 birds, each will be lucky to have the space of a piece of A4 paper in which to live), the dangers of disease are massively magnified. And so it is to prevent this that the chickens are vaccinated before birth against common diseases. They are often also dosed up with antibiotics — a preventative measure that is easier and cheaper than dealing with individual illnesses at a later date. 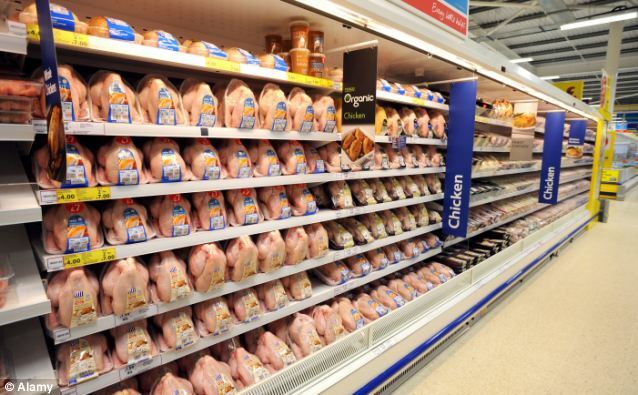 In Britain, consumers can’t get enough of cheap chicken. On average, we eat 31 kilos per person per year — which is more than any other country in Europe. 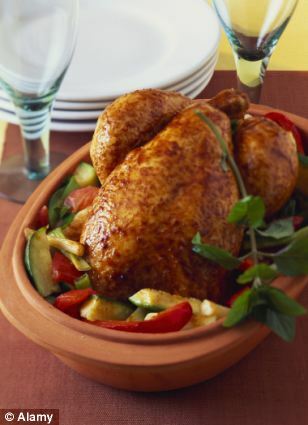 With a budget supermarket chicken today available for less than £2.50 per bird, cost is one of the drivers behind its ever-growing popularity. Not only that, but with the horsemeat scandal still fresh in consumers’ minds and the fact that chicken is lower in fat than red meat, it is also seen as a ‘healthy’ option. 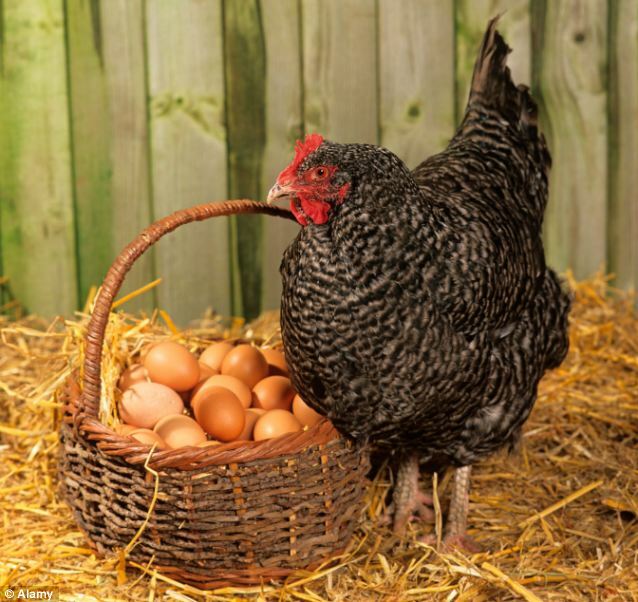 How deeply ironic then that scientists now believe that the nation’s love affair with the fowl could be about to trigger a devastating health crisis of its own. Forget the fact that last month it emerged that food poisoning cases linked to infected chicken — thanks to a bug called campylobacter — struck down 580,000 people last year, putting 18,000 in hospital and killing 140. Now experts are warning that the overuse of antibiotics in poultry farms around the world is creating a generation of superbugs that are resistant to treatment by virtually every drug in the medical establishment’s armoury. The bacteria will then survive in the gut before potentially triggering illnesses such as persistent urinary infections or, more seriously, blood poisoning, also known as sepsis. A newly-published report claims that as a direct result of this, 1,500 lives are being lost in Europe each year — with 280 of them in this country alone. But the fear is that, as the resistant bugs spread, the death toll will rise as more and more antibiotics become ineffective. 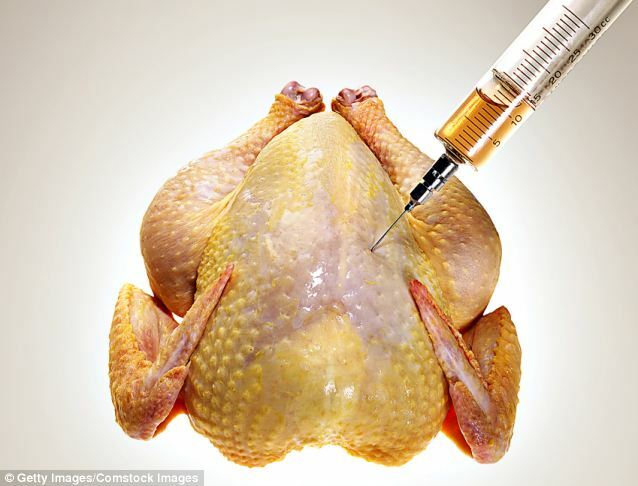 ‘We have people dying who do not need to die, because you should not be using these drugs in food animals at all, particularly in poultry,’ says Peter Collignon, a world authority on the subject and professor of infectious diseases at the Australian National University. ‘It is a practice we must not allow to continue, because basically there are no more antibiotics in the pipeline coming along to rescue us. The farming industry’s argument is that if they don’t do this, then one or two per cent of their flocks might die after they hatch. My view of that is “bad luck”. Someone who knows first-hand the dangers posed by the infections that scientists are warning of is life coach Susie Wiggins. In March last year, the 53-year-old from Northwood, Middlesex, headed into Central London to meet a girlfriend for lunch at an upmarket restaurant. ‘We were going on to an exhibition afterwards and I was dressed up to the nines — four-inch heels, full make-up — and was feeling absolutely fine,’ she says. Realising something was seriously wrong, Miss Wiggins’ friend immediately took her to Guy’s Hospital. Within hours she was unconscious and in intensive care. ‘Basically, the pain I felt was my organs starting to shut down,’ she says. ‘I was in a coma for two weeks, during which time my hands and feet swelled up and turned black. That Miss Wiggins survived was down to the fact that the doctors had quickly spotted that she was suffering from sepsis. The condition strikes hard and fast and kills 37,000 people a year in the UK. Treatment is with antibiotics, but one of the emerging problems today is finding the right one to use. In Miss Wiggins’ case, it turned out that her illness was due to an E.coli infection, which could have been caused by chicken or another infected meal she had eaten at some point before that fateful lunch. Doctors believe the bacteria may have passed through the wall of her colon into her bloodstream after she underwent colonic irrigation or as a result of infected kidney stones. But it took them 48 hours and several antibiotics to identify the strain of the bug. It is a point echoed by Dr Ron Daniels, chairman of the UK Sepsis Trust and a hospital critical care consultant. He says that in some parts of the country, 30 per cent of E.coli bacteria encountered are what is known as Extended-Spectrum Beta-lactamase E.coli. In layman’s terms, this means that they are resistant to many antibiotics. ‘An ESBL E.coli is no more likely than other E.coli to cause illness but, when it does, unless we are aware that it is an ESBL E.coli there is a danger we might start treating with antibiotics to which the bacteria is resistant,’ he explains. At least today there are a handful of antibiotics out there that still work. The big concern is that if resistance continues to spread, there will simply be no antibiotics left that can be effectively deployed. If that happens, then the 21st century could see the death toll from infections soar to 19th-century levels. It is a point that was made earlier this year by Dame Sally Davies, the Chief Medical Officer, who warned that antibiotic-resistant bacteria posed ‘a catastrophic threat’ to the population. ‘If we don’t act now, any one of us could go into hospital in 20 years for minor surgery and die because of an ordinary infection that can’t be treated by antibiotics,’ she said. In the past, the blame for the growth of drug-resistant superbugs was pinned on doctors who over- prescribed antibiotics to patients. But there is a growing body of opinion that believes excessive use of the drugs within the agricultural world — especially cheap chicken — is equally to blame. Scientists are particularly concerned about the over-use of a group of antibiotics called cephalosporins, which they believe are linked to the emergence of drug-resistant strains of E.Coli. Cephalosporins are a class of antibiotics that the World Health Organisation has rated as ‘critically important to human medicine’. He explains that of all the antibiotics used in the world, about 80 per cent are used on food animals, about 15 to 20 per cent on patients in the community, and just five per cent in hospitals. ‘What we know is that there is an epidemic of these resistant E.coli in Europe causing bloodstream infections,’ he says. ‘What is interesting is that these bacteria are resistant to antibiotics that we do not give widely in the community — only in hospitals. In a study published last week in the Journal for Infectious Diseases, Professor Collignon and other scientists highlighted data from Holland which showed that 56 per cent of antibiotic-resistant E.coli genes in human blood-poisoning cases were identical to E.coli genes from retail chicken samples. 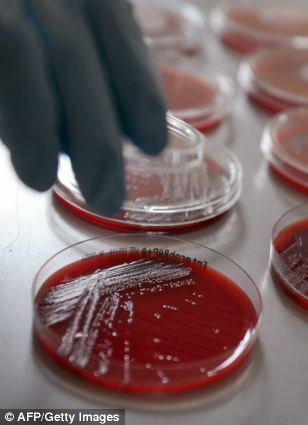 The transmission of one particularly resistant strain of EDSL E.coli tripled between people and animals from 2007 to 2012, the report claimed. 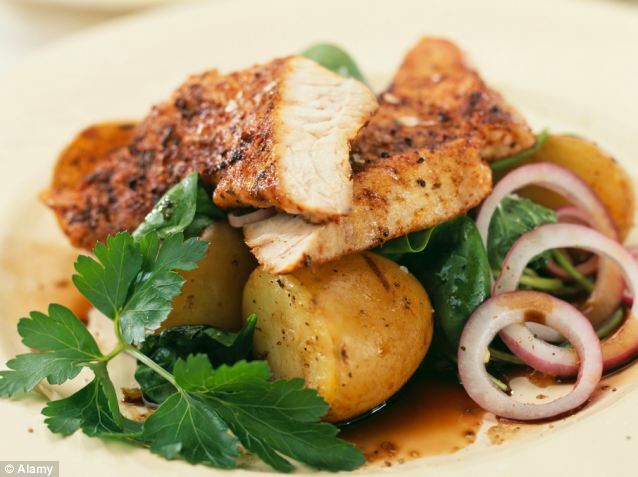 Extrapolating the Dutch data to other European countries, it estimated the number of deaths caused by antibiotic-resistant E.coli associated with chicken is 62 in France; 115 in Italy; 192 in Germany and 282 in Britain. As well as 1,518 extra deaths Europe-wide, that also equated to an extra 67,236 days of hospital admissions. ‘The number of avoidable deaths and the costs of healthcare potentially caused by cephalosporin use in food animals is staggering,’ the scientists concluded. Interestingly, it appears that the less-intensively reared the chicken, the more reduced the likelihood of creating resistant bacteria. Chickens that are organically raised are likely to come into far less contact with antibiotics. The use of the drugs in organic animals is restricted to when they are ill, and even then only when there are no alternative treatments available. Research in 2006 compared E.coli samples taken from organic and non-organic farm animals, observing their resistance to ten different types of antibiotic. On average, those from organic farms were resistant to one antibiotic, compared with five on non-organic farms. But, of course, that comes at a price. An organic chicken on sale in a supermarket will cost at least two-and-a-half times more than the cheapest ‘budget’ chicken. Unsurprisingly, poultry farmers have reacted angrily to being blamed for the crisis. A spokeswoman for The British Poultry Council dismissed the study as ‘alarmist’ and said that it was based on out-of-date research. Cephalosporins, she explained, had never been administered in flocks used for meat production here. And while they had been used in the breeding flocks, which produce the eggs that then hatch into meat chickens, the industry had voluntarily agreed to stop all use at the end of 2011. 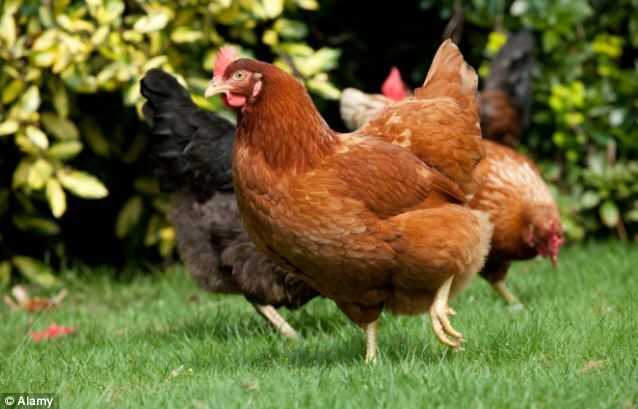 ‘British consumers can be assured that British chickens are reared according to the strict production standards of the Red Tractor assurance scheme,’ she said. ‘These standards include rigorous controls of the use of medicine under veterinary supervision. All medicines on farms should be used as little as possible and only as much as necessary. But critics are unconvinced and say that even the limited use in the breeding flocks could have been potentially problematic, with resistance being passed down through generations of chickens. And they also point out that whatever native farmers are doing, Britain imports large quantities of chicken meat from abroad. While 1.3 million tonnes of chicken meat is reared here (the equivalent of 900 million chickens a year), a further 700,000 tonnes is imported. Worryingly, Holland is the biggest source of these imports, followed by Thailand — a country where concerns have been raised about the widespread use of antibiotics. Given the growing taste for chicken in this country, it means that international action against antibiotic overuse is essential. In the meantime, efforts are finally being taken to better understand what is behind the spread of these antibiotic-resistant E.coli. Last month, the Government launched a three-year study into the problem. It will involve collecting ESBL E.coli samples from farm slurry and from raw meat on sale to the public. This will then be compared with samples taken from human blood and faecal samples to see what genetic similarities there are between the two. While scientists welcome the study, they warn that we cannot sit back and wait for the results before taking action. Time, they say, is critical — something that Susie Wiggins knows to be the case from her own, terrifying, experience.